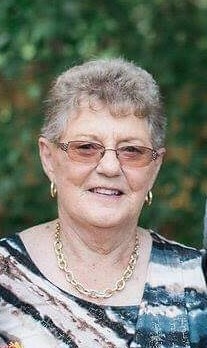 Obituary for Evelyn June Bryson | Adams Funeral Home Ltd.
Evelyn June Bryson of Miramichi passed away at the Miramichi Regional Hospital at the age of 83. Born in Ontario, on January 26, 1936, she was the daughter of the late Robert and Gertrude Staples. She loved to play Golf and Bowling with friends. She always enjoyed her time playing Darts, Bridge and she truly enjoyed Gardening. She is survived by two daughters: Karen Angus of Saskatchewan and Tammy Goulding (Paul) of Nova Scotia; six grandchildren, eight great grandchildren and four great great grandchildren; one sister, Mae and one brother Robert. She was predeceased by her parents, husband Barry Bryson, partner Richard Asoyuf, daughter Connie Bernardin, grandchild Kevin, great great grandchild Taylor, sisters and brothers. As per Evelyn’s request there will be no visitation or funeral service held. Interment will be held in Mount Hope Cemetery, Brantford, ON later in the summer.